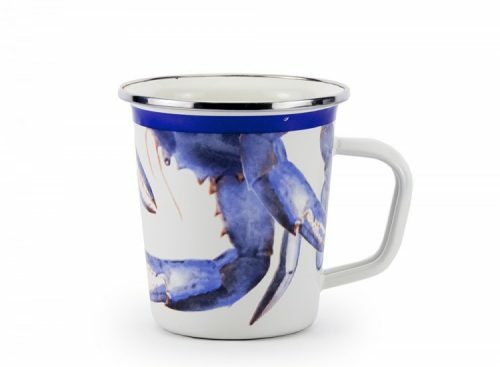 This enamelware tumbler has a handle and a beautiful blue crab design. This blue crab latte mug is just right for summer parties or anytime. It’s a tumbler with a handle and has a chip resistant stainless steel rim. 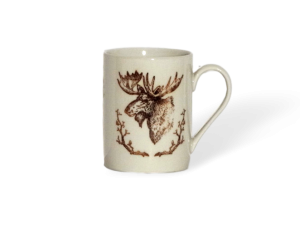 It is great for serving hot or cold drinks. 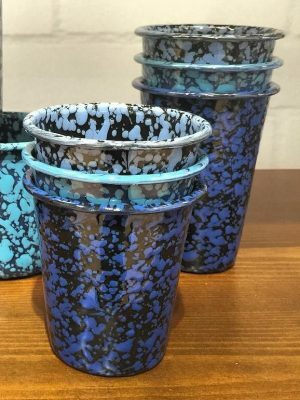 This enamelware is made of carbon steel coated with a porcelain enamel and trimmed in stainless steel. 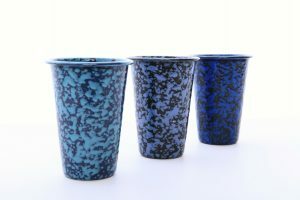 There will be variations in the shading of colors and pattern formations which are the results of the hand-dipped process. The design features a blue crab pattern.